FreeConferenceCall.com is a conferencing and voice messaging provider. "It really is free and it's really good!" Shocked this is a free service. From great features like call recording to having a permanent room it's super convenient! The screen sharing app (also free) is great too! I struggle to figure out how these guys make money as most of the upgrades like hold music and custom greeting are super cheap too. It's not toll free, but who really still pays for long distance? Sometimes you appear "cheap" to customers using a free service, but $2/month and this goes away. App could be a bit stronger as it's SUPER basic and crude by today's standards. Try it and maybe pay for an upgrade or two. Convenient and free conference call service with great features that doesn't break the bank. We switched over from a paid by the user by the minute service and there's been no drop in quality or convenience from us or our participant's point of view. Now that I know we can do a custom greeting for $2/month we might consider stopping looking cheap too! "Free, but actually works well!" Free and reliable. I've used my conference call number dozens of times with up to 10 participants and it's always worked fine. Usually services that are free are riddled with ads or other inconveniences, but I haven't come across anything like that yet. I believe once you hit 1GB of data the service is no longer free, but I'm not entirely sure how it works once you start paying. It's a little confusing on the website, so that can certainly be improved. It's an easy, free solution to hosting your conference calls. If you host several conference calls a month, it would be worthwhile to make sure you understand how pricing works once you've exceeded your 1GB of free calls. Either way, it is worth trying out. Callers both internally and externally can easily call into the same phone line which makes it super easy to schedule conference calls for our team. Our work phones naturally allow us to conference in another caller, but it is a tedious and frustrating process. Using FreeConferenceCall has completely streamlined conference calls for my team. "By far the best conference service out there." The easy of use and allowed number of people on call. Unlike other services, you are allowed up to 1,000 people at a time per call. You can record the calls, share your screen, get international numbers, and much more all on the free account. The free account is free for life, but if you need more they do offer reasonable priced paid plans. At this time I have no dislikes at this service. No matter what size your webinar will be, you need to use FreeConferenceCall. You can screenshare, record your meetings, see who is attending, mute people if needed, and a host of other things all for free. I am able to hold live webinars to teach people how to use our service. I can also teach people how to go about promoting the product. With the free international numbers provided, all of out clients are able to attend. "Great Conference Call system. Why use anything else?" Freeconferencecall.com is the best. It's simple to use, it's a great system to have multiple callers from different locations and it's free. I have really never had any issues with FreeConferenceCall. You give out a phone number an and access code and you are ready to go. Quality is good. It's simple. It's not the best system I've ever seen, but it's free. Without question this is the best conference call system. I've used their system for many years and have had many conference calls with it. It's so easy to use for multiple callers calling in together. Before using this we would have a group of individuals gathered around a desk trying to listen to speakerphone and you would have to take turns leaning in to speak. But now we all just stay at our desks and have the call. So much easier. Especially if someone isn't that vital to the call they can sit at their desk and work and listen in on the call in case they need to add something. "Fits the need for a quick set up conference line"
Its free! While its not the most exciting thing to happen in the world, sometimes a quick conference call line you can share with your clients comes in handy. Away from your calendar? Away from your PC? No worries, just keep a sticky note of your personal FreeConferenceCall line and share with whoever necessary. The hold music. I like to arrive to designated conference calls a few minutes early, just to ensure I'm there if another person joins early. The music while waiting for others to join is not very enjoyable. That's me being picky though. Free dial-in for any user. Its not the most complicated system setting up a new account so you get your own account either. Having a conference call line personally for me that I can share with clients while away from my PC is beneficial when scheduling on the fly. Our company likes using FreeConferenceCall because it's free and just by having a conference line, it makes us look more professional to prospective clients, connections, and discovery calls. It's easy to use, very easy to set up and works well every time. Haven't had any issues so far and have been using it for years. I wish there was a way to customize the welcome message (any maybe this already exists with paid plans? ), especially when using to court prospective clients because there is something less appealing than being greeted by something with the word "free" in it. Our company works from two different time zones so conference calls are imperative for calls that have multiple parties on it. We like most the ease of use, and that it's pretty self-explanatory. "Free Conference Call works well for my uses"
I like that it's free and easy to use. There is a plugin with Google Calendar that is helpful. The quality is pretty good and rarely is there dropped calls. All in all it s a good product that does not cost any money! I wish there was integration with outlook calendar. Also the google calendar plugin sends you to a link I it would be better if they would have the phone number and access code. Also video conferencing integration would be great. Another two add ons would be a dedicated phone number and an option to have clients self schedule by you giving them a link. similar to Calendy. For conference calls. This is my go to solution for conference calls. Thank you for your feedback and suggestions! Note that we do offer an Outlook add-in and video conferencing for free. Please contact us at (844) 844-1322 so that one of our live agents can assist you in setting this up for you, we are available 24/7! "Great solution for web conferencing"
Customizable lobby view, ability to share presentation documents and screen share (with ability to select what applications on your screen you want to share). I also like the pdf document that gets emailed at the end of the call which lists all participants and amount of time spent. I cannot think of anything that I dislike about this application. Sometimes students have issues downloading this app or viewing my screen. I believe there is a lag time. This product is a great free conferencing call solution. I would highly recommend. Easy to use and customize. I also like that the conference code does not change. Students can log in anytime and retrieve uploaded documents. Free Screen Share allows me to present lessons and materials to my online students. Benefits are accommodating student needs and improve student interaction. "Great FREE conference line for startups"
I love the fact that it's free and it still allows you dial-in numbers from different countries. It's also super easy to schedule calls with the same number and access code each time. The wait music when you're the first one in the conference line needs to change for every call. It get stuck in my head all day. I wish there was a way to attach my Google Business account to my FreeConferenceCall account and schedule calls from my account. Change your access code every few weeks as it's a static conference code that others can call into any time they want otherwise. Settings up a business conference call bridge for business calls. "Excellent and easy way to have phone meetings"
It is so easy to use! I had a weekly conference call for over 3 years with alumni who were all over the age of 65, and they never had issues using it. The instructions are very straightforward and make having long conference calls a breeze. By far the best part is that it is completely free to use! It also provides you with data for your calls such as which numbers called in and for how long. There isn't much that I dislike about it. Although I understand that it is free, file sharing would be a nice option. Sometimes the chime in can be annoying if you have someone that has poor service and has to call back in. When they do, it mutes the rest of the call and "announces" them again which can take a long time. And the delay of sound can get problematic. If you're looking for an easy and free option for conference calls, this one is top notch! This helps take the place of unnecessary in person meetings. It has allowed us to have more time in our day and allowed us to multitask while on the call. Your recording is available within minutes of ending your call! Depending on your caller's phone plan, some callers can either not access the call-in number or hear a message that it will cost them per minute to participate. FreeConferenceCall.com is an easy to use service with flexibility to record calls or screenshare. It makes meetings easy. I need a reliable recording service to conduct interviews with people globally. FreeConferenceCall.com meets my needs, allowing me to work with people wherever they may be. "Convenient and Easy to Use"
There were no hoops to jump through in order to create and receive a free conference call phone line. Easy to share and use with anyone I needed to set up a phone meeting with. There isn't anything I particularly dislike. Everything worked as expected. If you don't have a conference call phone line available, or the one you do have is going to be busy during your scheduled phone call meeting, you can easily sign up for freeconferencecall.com and they will send you a phone line and access code that everyone in your phone meeting can use with zero hassle and zero cost. "Great Free Conference & Screen-Share Software with a Couple Small Problems"
What you get for Free with FreeConferenceCall.com is incredible - not only a personal Teleconference line, But also a powerful screen-sharing platform and up to 1GB of screen-share recording. The software works relatively fine, and is unobtrusive - it installs itself as a Chrome extension, which makes it quick to open and easy to remove if needed. If there are too many people on the line it can start to sound a little choppy, and on some days the screen-share can be a little slow, resulting in lag. Some of the UI choices are also frustrating, with the controls window in particular not opening in a "standard" Windows window but instead forcing itself in front of any other software you may have open. Quite annoying. Of all the Conferencing software I've used, this is by far the easiest and least obtrusive - unlike several others, they don't send annoying "Upgrade to Premium!" emails all the time. FreeConferenceCall.com provides us with an easy and reliable way of meeting with our client's teams. The screen-sharing software is instrumental to understanding their needs and concerns, and allows us to explain solutions in real-time. My company used Free Conference Call for years to manage, drum roll, all of our conference calls. The basic services provided were all we needed for years and the platform performed solidly. It has since grown up, offering screen sharing, video conferencing, 1gb data storage and recording. There was nothing to dislike, we moved to a more robust service that utilized VOiP as we outgrew this service. Arranging and communicating with districts/divisions/support center. "Great for connecting with people all over the world"
My favorite feature is "Share my Screen" because it really helps with giving product demonstrations for the company I work with. I dislike the waiting music because it is very annoying and outdated. I also do not like how people get confused between the online meeting ID and the call in ID. The differences should be clearly explained. If you need a software that helps make web conferencing easier FreeConferenceCall.com is a great choice. It has share my screen capabilities and is easy to use once downloaded. You will have to get used to sharing your conference login credentials to let others easily join. We are now able to give demos for free to prospective clients all over the world. It has allowed for cost savings and greater efficiency. If you pay $6.95 for the business line, not only do we take the word "free" away, but we also will brand your company name. In addition, you get to change your hold music too!! Call us today at (844) 800-4000 to learn more!! It's free but still has a lot of the features of paid services. This is an easy-to-use, free program that has lots of great features. It can't do everything but depending on what your needs are, you may be surprised at what all you can do. Great customer service too. I use this service for group coaching. It makes it easy for me to share my screen. I have the option to be on camera or not. This has been a great resource for a couple of non-profits that I work with as well as our daily business needs. We have tried other services and FreeConferenceCall.com has a lot of great options for free! We love the ability to bring in people from multiple platforms into the same call most of all! Honestly we have yet to find anything that we do not like about FreeConferenceCall.com! It offers us so many options that we need as a small business but don't have a large budget for. This is a great service that offers you a lot of options at free to low cost. We use the free services the most and they meet all of our needs so far. We have multiple people in different states on different platforms and the ability to bring us all into the same call at one time is a tremendous help! It's free if you are using a landline or over the internet. Allows screensharing, video conferencing or just audio calls. It's great to show presentations to clients in real time and be able to control which windows they see, allow them to share their screens and control who can be heard (muting noisy callers is very helpful). My mobile phone carrier charges 10 cents per minute to use FreeConferenceCall.com - so there can be SOME cost. Otherwise I haven't had any problems. If you will primarily be using this for mobile phone calls then it may not be for you as many carriers charge a fee. This allows us to connect our remote team members to one another and to clients. The clients don't know we aren't all in the same room together unless we want them to. FCC is very lightweight, easy to use, and very simple. No bells and whistles, but in a good way. I love that I can scare my screen easily as well as let others control my computer and share what's on their screens. Recording is easy as is retrieving and sharing recordings with others. All in all, for the price point FCC is very hard to beat. I've found other paid services that still can't lure me away entirely because of all of the included features. Others have said it, but the call in is kind of cheesy when it says "This call is hosted by FreeConferenceCall.com." My only other concern is that sometimes sharing my screen is spotty on the receiving end when using the web viewer. I've tried to give software demos and found out that the screen freezes for the viewers sometimes. I'm not sure if this was tied to the browser that was being used, or my/their internet. Regardless, I can't help but constantly wonder if my screen is going to freeze during a screen share which is enough to keep my options open. Give it a try. The product is free so you literally have nothing to lose. It's a great way to offer individual logins at your company without having to pay the price. Communicating with out of town clients as well as recording tutorials for staff and students. I love Free conference dot com, not just because its free. I enjoy this platform because it allows me to have meetings with ALL my agents, even ones that are not in my current state. It allows me to record my meetings to send the link for others to view or to reference at a later date. I have been using free conference call.com for about 3 years now. There are really no dislikes. I absolutely love this platform. Having meetings, recording training videos, and keeping in touch with other co-workers. "FreeConferenceCall.com is an easy, affordable way to have conference calls & online meetings." I like that I can hold either a conference call or an online meeting to share information, without paying a fortune for the service. I can't think of much I don't like about the service, except sometimes I have to call in a few times to be connected to my call. But that doesn't happen too often. Limit the number of people you authorize to hold conference calls, or at least have a calendar or schedule so two parties aren't trying to hold conferences at the same time. Holding conference calls between multiple parties to engage with customers or staff. Holding online meetings to share information so everyone is clear about the conversation. It makes it easy. I love that the lines are free to use. I also that that you get an email summary of how long the call lasted. I think it's serves its purpose well and doesn't need to be changed. The conference lines are always clear and easy to dial into. If you need a basic group call line, this is it! We are able to have multiple people join the call to jump on a call with affiliates or other vendors. It's super nice for it to be free because our process of getting our own line is rather cumbersome. The best feature is that I can show my screen and my webcam video and it records both the screen and my voice and synchronizes it perfectly! And the recording is available almost right away. I love that we can download both MP3 and video. I don't have to pay expensive fees to hold webinars. It is really great. The Q&A mode worked well. FCC is fairly reliable. No system is 100% but I have found that their customer service chat is very good at helping out when there is a problem. Their storage fees seem reasonable. My patients don't have to download anything unlike Go-to-Webinar. Sometimes the using the internet to make the call doesn't work on the other end (my clients) and they can't hear me, then I have to use the chat or the screen share to tell them that I am indeed on the other line. I tell them to click the phone icon and they said they did but nothing happened. This happens about 1 out of every 13 tries and usually with someone who isn't quite as internet savvy. I wish video recordings would automatically process so that I don't have to wait so long. Audio MP3's are immediately downloadable for the client but video recordings aren't, so it takes some time to download them/process them before my patients can download them. The custom greeting I paid for doesn't work the same way if the client listens via internet - they still get the "free conference call" greeting prior to the custom greeting which defeats the purpose. But it does work if they call in - i.e. they don't hear the FCC greeting. This is a great service for folks with limited cash flow that don't need fancy opt-in pages or webinar scheduling pages etc. I use vCita to book appointments and it reminds patients of their appointments, showing the FCC number and call-in information/link. It is missing landing pages that Webinar Jam can create etc. I'm helping people with health challenges - I see patients/clients using this system so I can help people from various parts of the world. It's great not to be limited to my own hometown. I can now help many more people because this system is fairly easy to use and there is nothing that needs to be downloaded onto my patients' computers. "Okay solutions for voice only calls but have had issues recently"
I like that the solution is free and extremely easy to use. I also appreciate the call report that I receive after each call. We have had significant issues with inability to dial into the bridge and echoing occurring while on the line. This made the solution almost unusable for us. I would recommend this for small, internal use only. This bridge service has limitations with number of attendees and also experiences sporadic issues with sound quality. We were in need of many voice only conference bridges at no cost. FreeConferenceCall.com provided this. "Dependable tool for moving key projects forward"
When I first started using FreeConferenceCall.com, there were minor glitches where the team would call in and wouldn't be able to connect. Over the past 6 months, this has vastly improved. Try it out versus some of the other conference call vendors out there. There are add-on services that are much cheaper to use than the competition. Very solid performance. The ability to host so many people on one call is a huge win for my team. This product saves my company money. It's truly free to use, and helps us collaborate. I host several calls per day, and find that this line has helped with project productivity. "Free Conference Call Dot Com"
I would like to start by saying, just because its free does not make it amazing. What makes it amazing is the features that are available. I can not only host a meeting but I can also record a meeting as well. How cool! It allows me to hold a meeting online with anyone who has a internet connection. I have not only held meetings on my computer but from my iPad as well. There is nothing that I particularly dislike. With Freeconferencecall.com I can have all my agents in a meeting at once, or I can host and record a meeting for them to watch later, just by sending a link. Is that its extremly easy to use, and easy to set up all together. Having to buy extra space when youve used the provided free space they give you. Being able to do free conference calls for training. "I utilize FCC for screen sharing webinars; i is simple to use and I couldn't do my job without it." Simple and easy user and host navigation. Same login information for conference line and call-in. The Wall for directing people to. I would like better communication between FCC and outlook and other calendar options. It would be nice to receive invites on my wall in addition to being able to send them. Ideally: I create an event in my outlook calendar that I know I will be using FCC for. I can add an FCC email address to the invite and it will be automatically added to my Wall calendar. Shop around for features. For basic users of small and mid-level groups FCC should meet your needs perfectly. I am able to screen share at a moments notice which has been invaluable for collaborating and training with a team across the country. the VoIP feature allows me to have crystal clear calls and multi task when I need to be on a long call and also handle correspondence on my mobile phone. I like the easy controls for the screen sharing feature. Also the now 6 digit access code is more convenient. The quality of the audio is pretty good, even on mobile devices.. The control panel makes it easy for me to change presenters. I like that a lot. All in all this is the best conference solution we've used.. I would recommend it to other small companies. I have done this many times. That you cannot save email addresses like with Google Hangouts. Typing the addresses in every time I invite the same people is a waste of time. I cannot remove an image we used to use no matter what I do. I can't find a way to mute specific individuals or eliminate from the call..
We've tried a few conference call solutions and the team likes this one best. We have a remote team and hold at least five conference calls a week. This makes it very easy for us to communicate. This reduces the times my team must meet live and in person. I use Free Conference Call almost daily. It's quick to access, and is easy to use for a wide spectrum of user ability. I often use this product to switch presenters so I am able to see other people's screens when filling out applications, user issues, or to look at the same report at the same time. It's great for setting up a quick on-the-fly meeting, and doesn't give me issues even when other users have a tough firewall, like other products. The one thing I wish I could do is copy/paste from my Account Information screen without it turning into a table. Sometimes, I don't want to do a full-fledged invite, but instead I want to just copy/paste my conference line into an email, or an invite. Currently, when I do that, it formats it into an odd table-image that is difficult to change. The one time I had to use the VOIP, it was super-annoying whenever I pressed "mute" because a little audio script would play, and I missed some of what was said in the call every single time. If that wasn't a feature, I would use the VOIP every time. Do not pay for a different service - everything is right here! My job is 100% remote, so I use Free Conference Call to host conference calls, share my screen with others, and have them allow access to their screen. We are solving distance issues, account registration, data analysis, care coordination and more. We are also closing the gap when it comes to user accessibility, and involving large groups of people on the same project. "Easy to use and free!" This service is free. It has a one-click feature that is great when calling from a cellphone so that you don't have to go back and forth in between screens to find the dial in code. It is really easy to use and I've never had any issues with connectivity or interference on the calls. The website is not very user friendly but otherwise I have no complaints! Free and easy to use is pretty much ideal. Everyone should be using this free service! Conference calling with multiple parties. Nothing, they have upgrades if I did need any further services. It solve logistics problems, when you start with a group of 5 or more people then a conference call with a set time and number works great. "Great free conference call software"
Make sure recipients of meeting invites know how to log in to the meeting. Not needing to hold frequent online meetings, FreeConferenceCall.com provides great service and prevents us from paying for conference call software that we'd only use once or twice a month. I really enjoy using FreeConference Call. It's very east to use and most importantly it's free. There are options to pay for more services, but with the free subscription you can record your meetings, connect via web or landline and the call can be played back. Another cool feature is the host receives full access, where notes can be shared with the group. I have experience a poor connection and some issues connecting with computer generated access code. I would recommend this product to users who need conferencing with multiple people in various places. With this product I am able to connect and conference in multiple people at once for free! Freeconferencecall.com has made it simple and easy for me to be able to run conference calls and screenshares through a single platform. I don't like that I have to redownload and install every time that I want to use it. It is a free service, you can get multiple phone numbers, it works across time zones and I have never had any issues. Nothing really - it is free so hard to compete with that! Virtual meetings via conference call. I use FreeConferenceCall.com both for conference calls and for screen-sharing presentations to groups. I like being able to share my screen or to pass this ability to anyone else on the presentation! I dislike that people both need to click on the Meeting Wall AND dial in. I think the service would be better and more streamlined if the audio were able to be a part of the online service. - you can mute all participants if you want. -you can pass the screen-sharing feature to anyone else on the call. I have multiple clients working on similar projects and am able to present information to them all at the same time! It's very convenient and a time-saver for me. "Great service for group calls"
FCC is the easiest and cheapest and best conference call system. We have used it frequently in business calls over many years. Any group call we use FCC so multiple people across the country can be on the same call at the same time. It's simply great. We haven't ran into many things we don't like. Occasionally the call quality isn't great, but I don't think that is FCC's fault, most likely the users phone connection. Business group calls. Conference calls. Prospecting and group intro calls. All of this we use FCC. Ability to determine who can speak via muting. The lack of a bcc option for invitations makes the invitation process cumbersome. Having conference calls with several major speakers followed by q & a with many participants. 1. the price is right! I have used other systems, most are not free, and have had fewer problems with FCC than with the others. Simplicity is a virtue! unable to have a really secure conference because the 9-digit conference ID is always the same. Anyone who has been invited to one conference could conceivably enter any other one. This is not a major problem, just a comment. It would be foolish to jump to paying big bucks for a system when FCC could have served your needs just as well. You definitely should at least look at FCC before deciding. We have reps nationwide and clients nationwide and often need to hold meetings with them. "FreeConferenceCall.com provides a platform for me to reach people all over the country with ease." I like the convenience FreeConferenceCall.com provides as well as the price. Obviously, the fact that it's free is definitely appealing; however, they do offer upgrades as well. I enjoy the option where I'm able to add my own call waiting music instead of the standard music that is available. One thing I dislike about the service is the phone number selection. I wish there was a way to pick your own phone number (at least the last four digit, similar to Google Voice). That way we are able to select phone numbers that spell out something memorable for the participants. I also did not like that I had to get a new phone number about a year ago. I believe they changed systems and everyone had to get a new number. It took me a while to remove all traces of the old number and get the new number in circulation. I would choose the upgrade where you are able to add your own voice and waiting music instead of the standard option. I use FreeConferenceCall.com as a way to get together 3 days a week for prayer. This is very beneficial because we are able to have several people on the call at one time instead of me calling each person (or vise versa) for individual prayer. I also use it for 1 on 1 calls for individual counseling sessions as well. This makes things a lot easier for me. The ease of use. The ability to record calls. The complete control of the process. And of course the cost, lol... Free! The idea that I can talk with people from around the country with such ease of use is amazing to me. I'm not a tech guy... which can be scary when using new technology! But with freeconferencecall.com, the user guide and faq's are spot on and described perfectly! The only thing that I can possibly think of - is that when I transfer my call recordings to a audio cd... the sound volume is low. 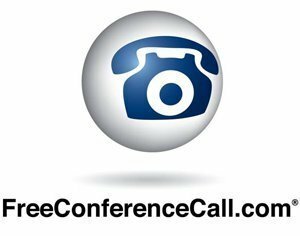 I would highly recommend that anyone with conference call, web conferencing, and virtual meeting needs... check out FreeConferenceCall.com. This is a perfect platform for conference calls. I use it for real estate agent coaching and consulting. The fact that I can record the calls and then post the audio and send agents audio cd's of the calls... is incredible! I also use FreeConferenceCall.com for my real estate team. It's a great way to have daily huddle calls, team meetings, and one on one agent goal sessions. "Very friendly, far superior to before"
I use FreeConferenceCall weekly, sometimes more often. What a difference it made when we no longer had to give commands over the phone, but initiate the commands online while speaking. This is a very friendly program and they've taken all the technology pain out of holding conference calls. I especially like the capacity to identify callers that need to be muted and to be able to mute them immediately. I highly recommend this service. The archiving of these calls is equally friendly. I haven't found anything yet. When I hit one of the icons, like "Wall," it doesn't instantly open but makes me scroll down and initiate that command. That's a little annoying. But I'm used to it now. We use FreeConferenceCall to speak to and train our distributors every week. It helps me stay in touch with them when I can't speak to them individually. Having our own "dedicated" conference dial-in line has been perfect for modern office management and connecting people. 100% easier and faster than booking a conference room and then making sure everyone is available. A phone call is almost always preferred and easier on the calendar juggling. We also look professional, courteous and most of all, prepared, when we can say "oh, no problem, let's use our dial-in for the call". Since the service is FREE, we get to look great, for no extra cost. What could be better? So far, not a single problem! Some times there is silence while everyone is connecting to the call, which confuses some people who would rather hear hold-music. but the delay is minimal. Sign up and the keep the number for when you need it, even if it seems non-essential at the moment. You will realize the usefulness of this dial-in # when you're trying to figure out how to get everyone on the same page and you realize "oh, lets just have a conference call", then no need to fumble for a number or wait to get back to everyone...just set up a time, and give them the number. Possessing your own conference line is invaluable to a modern, mobile and/or multi-faceted company. We are solving the problem of gathering groups of people who are in different countries, cities, time zones and with limited schedule flexibility. The main benefit has been making decisions immediately, without a confusing trail of emails or missed calls or piled up voicemail, without spending extra admin time or money. "Free conference calls that work"
Appearance of free service is a little unprofessional. The loading application on usage sometimes slows down the process. My team and I use this platform for calls and webinars from 5 people to several hundred. We sometimes have issues displaying shared screen content as well un-muting specific people on calls with a higher volume of participants. Great for conference calls and similar natured communication. It has capabilities of screen sharing, as well as video, in addition to conference calling. It is pretty easy to use & straightforward. The price is right. Make sure to allow a little time to familiarise yourself with it before using it. Need to connect with clients in a city 2.5 hours away. I have saved a lot of time & energy not having to drive up there for these meetings. "Conferance Call & Screen Share Rolled Into One"
I like that this is a very easy to use program and unlike other services, the telephone number and access code always remain the same. I also like being able to see who is logged into the web share vs who is only listening in. Dislike is too strong a word. My only peeve is that I haven't figured out how to re-size the attendee list to show more than four or five names at a time. This free product delivers what it promises. Easy to use and always available for that impromptu meeting or review of a document with a few people. Its especially helpful when reviewing spreadsheets! We needed an easy and interactive way to communicate and share information within our operational teams. I like that you do not have to work through a video. You can place everyone within that meeting on a conference call and still get the job completed. Very simple to do without any hassle. I also like that the phone number Free Conference Call issues do not expire. This service can be used for business or personal use. I do not dislike anything of the sort. I believe this is a good way you can communicate with everyone you need to communicate within a daily, weekly or monthly basis. This is a very good service that is being offered for FREE to all that can use and benefit from this service. Do not change up numbers check to see the number that was issued to you initially is still usable. I am solving all types of business. Can be a budget issue, and hiccup issue with a project that is time sensitive. * We monitor all FreeConferenceCall.com reviews to prevent fraudulent reviews and keep review quality high. We do not post reviews by company employees or direct competitors. Validated reviews require the user to submit a screenshot of the product containing their user ID, in order to verify a user is an actual user of the product. Hi there! Are you looking to implement a solution like FreeCC?